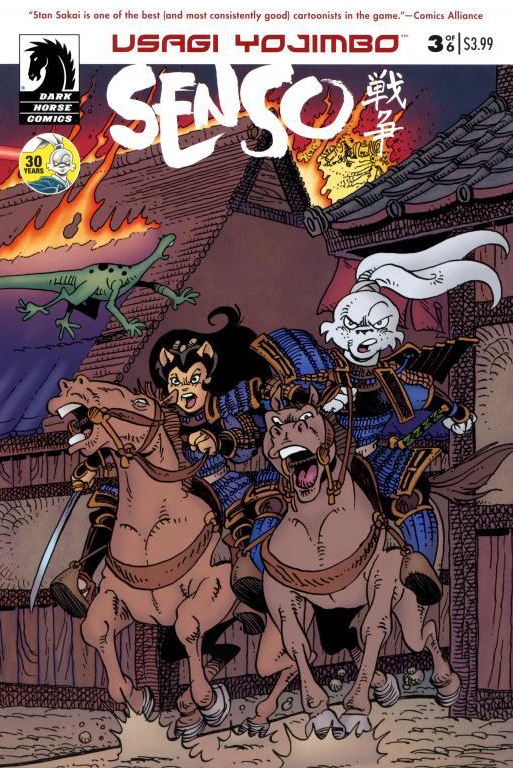 The rabbit ronin faces a menace from Mars in this extraordinary story from multiple Eisner award-winning creator Stan Sakai! Fifteen years in his future, Miyamoto Usagi fights with Lord Noriyuki's Geishu clan, in an all-out war against the treacherous Lord Hikiji. In the fury of the final battle, a mysterious metal rocket crash-lands from the heavens, shattering both armies and igniting a new, more devastating conflict. It will take all the considerable fortitude, ingenuity, and heroism that Usagi and his loved ones can muster to combat the fearsome extraterrestrial war machines and halt the alien invasion.